BRIGHTON, Mich.- If you have a young driver, or a teen that will soon be getting their license, then an interest in How To Used Ford MyKey should be on your mind. If you're worried about your young driver out on the road, or just want to encourage good driving habits, then Ford MyKey is your answer. 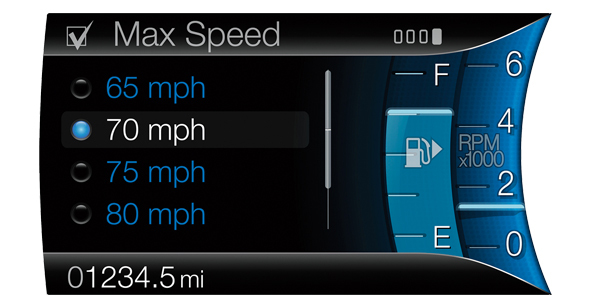 The innovative Ford MyKey system allows the vehicle owner to set limitations on speed and radio volume when a specified key is in use. The system also provides earlier fuel warnings at 75 miles to empty rather than 50 miles to empty, will mute audio systems until the driver buckles up, and can forward calls to your cell phone directly to your voicemail. If you have further questions on How To Use Ford MyKey, your Livingston County Ford Dealer would be happy to help! Just stop by! The MyKey system is standard on almost all Ford models, so remember we can help you save on a new vehicle with our Ford Focus Rebates and Ford Fusion Rebates. Brighton Ford is located at 8240 Grand River Ave. just north of I-96 in Brighton. We are a family owned and operated business that strives on customer satisfaction. For more information on Brighton Ford visit BrightonFord.com or give us a call at (800)-836-8206. with any questions you may have!